Federal Medicaid Audit Lawyer - Oberheiden, P.C. Health care providers are currently under more intense federal scrutiny than at any other time in U.S. history. There has been a marked increase in Medicaid audits and investigations in recent years, and it’s always an intimidating and stressful experience for the medical practices targeted. If you are currently the subject of a Medicaid audit, or if you have received a notice of overpayment from the Centers for Medicare & Medicaid Services (CMS) or an Order to Show Cause from the federal government – you should proceed with cautious urgency. While it is possible to go through an audit all on your own, many health care providers and clinics choose to hire a health care defense attorney for representation and guidance. That’s because Medicaid fraud law is complex, and mistakes are too easy to make. The auditors do not represent you, they will not act in your best interest, and federal agents will use any potential evidence against you. A dedicated defense attorney that is experienced in Medicaid audit law, however, can act aggressively to protect your interests and defend your rights. That’s what we do at Oberheiden, P.C. We are a federal health care law defense firm, comprised of defense attorneys who used to be federal prosecutors. Our experience on both sides of these cases equips us with insight on how to steer them toward positive resolutions. We have represented numerous doctors, pharmacists, and providers who — as a result of our defense efforts — have emerged with their reputations, their careers, and their practices unscathed. The stakes in any federal audit or investigation are high. They’re especially high for medical businesses in the current political climate, as the federal government is actively engaged in a “crackdown” on suspected fraud, waste, and abuse as it relates to medical benefits programs such as Medicare and Medicaid. A record number of agents are working on these cases, and the government has even set up special Strike Force offices across the country that exist solely to audit, investigate, and prosecute fraud. Unfortunately, even innocent medical providers can quickly become ensnared in a Medicaid audit. Once the government starts searching for errors, it’s all too easy for them to stumble upon innocent, minor mistakes. In many cases, overeager agents strain to make mountains out of molehills, and your professional reputation (indeed, even your career) becomes jeopardized. It is possible to handle Medicaid audits strategically so as to limit their duration and minimize the potential for misunderstandings, fines, back payments to CMS, or criminal charges. Doing so requires an in-depth understanding of the law and skillful navigation of the particular circumstances. If you are facing a Medicaid audit or investigation, don’t wait for things to take a turn for the worst. Call our Medicaid audit defense lawyers and get aggressive legal representation in your corner right away. How Concerned Should I Be About a Medicaid Audit? The single biggest concern in a Medicaid audit is that CMS might allege that you or your clinic owe the government a large amount of money. Medicaid audits are designed to search for both overpayments and underpayments, but their chief goal is to identify instances from the last few years in which CMS might have paid medical providers too much money. Often, these overpayments happen because of simple, unintentional mistakes. Accidental coding errors, or a misunderstanding of what Medicaid will cover are two examples of innocent mistakes that can be misconstrued by overeager auditors. Nevertheless, CMS will expect to be repaid, and it isn’t uncommon for the amount in controversy to add up to a significant dollar amount (often tens of thousands of dollars). It can be enough to put you or your practice out of business, and it can certainly cast a shadow over your professional reputation. In some cases, if the government suspects fraud, a Medicaid audit could even trigger a criminal investigation. Unfortunately, CMS contracts out many of its audits, and these third-party contractors (private corporations) have a financial incentive to find evidence of overpayment and pursue them aggressively. But alleged overpayment isn’t always so clear. In many cases, there may be ambiguity as to whether a treatment, service, or piece of medical equipment should have been covered pursuant to CMS policy. And when it comes to the question of whether a treatment was “medically necessary,” contractors frequently try to substitute their expertise for your own as the patient’s care provider. Fortunately, Medicaid audits are subject to appeal. An experienced Medicaid audit defense attorney can help you navigate the appeals process, negotiate with auditors or investigators, comply with the law, and advance the most effective legal defenses. At Oberheiden, P.C., our goal is always to bring audits and investigations to an end and that our clients are cleared of financial liability or criminal suspicion. We have the experience it takes to handle federal auditors strategically and protect your rights under the law. There are many kinds of Medicaid audits. Facing any audit can be an intimidating, stressful, and overwhelming experience for health care providers – who are already busy and overburdened as it is. Our office is available to help with any form of Medicaid audit. RAC audits — Recovery Audit Contractors (RACs) are private corporations that employ medical professionals who review your clinic or hospital’s billing data and identify discrepancies. Unfortunately, because these organizations work on a contingency basis, they tend to find overpayments in a large portion of the cases they assess. Additionally, RAC audits have been expanded to cover Medicare Advantage (Part C) and prescription drug plans (Part D) in addition to Medicaid claims. Accordingly, RAC audits are a stark concern for medical care providers in today’s climate, and it is always in your best interest to have an attorney representing your interests throughout the audit. 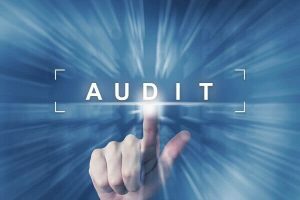 MAC audits — Medicare Administrative Contractors (MACs) are third parties who now play roles that were once internal to CMS, things like reviewing claims for medical necessity, adjusting payouts, matching invoicing codes to treatments actually provided, and adjusting billing errors. MACs also track the frequency of errors in your billing history, and they can flag your practice for future preemptive penalties, such as prepayment reviews. Our goal as Medicaid audit attorneys is to resolve any disputes regarding past billing and to prevent such penalties for the future. CERT programs — The Comprehensive Error Rate Testing (CERT) program is designed to identify big-picture trends in billing errors so that CMS can better avoid those problems in the future. Accordingly, CERT is not a conventional Medicaid audit, because its purpose is not to identify underpayments or overpayments. Nevertheless, CERTs will review your clinic’s billing data and, if it finds discrepancies, will forward those back to CMS or an MAC, prompting an audit. ZPIC reviews — Unlike RACs and MACs (which are primarily designed to address billing errors and collect payments due), Zone Program Integrity Contractors (ZPICs) are chiefly concerned with identifying fraudulent behavior. They audit and review data from medical providers and, if fraud is suspected, make recommendations to other organizations. The result can include investigations, suspensions of payments from CMS, onerous documentation requirements, and even criminal charges. Even though Medicaid auditors have a financial incentive to allege overpayment, their initial determination is not the final word. In fact, our law firm has successfully reversed many of these determinations on appeal, on grounds ranging from medical necessity or improper auditing practices – to a variety of legal defenses, including using CMS’s own policies in our client’s defense. Most Medicaid audit appeals proceed through a multi-stage appellate review process consisting of five different levels. The system is specific to Medicare and Medicaid, and while there is no requirement that you proceed with an attorney, handling it on your own is a challenge. The law in this area is complex, and by hiring an experienced Medicaid audits attorney, you significantly improve your chances of a favorable outcome. Get Strategic Legal Advice Today About Your Medicaid Audit. Contact Oberheiden, P.C. Don’t face the federal government or its auditors alone. If you are facing a Medicaid audit anywhere in the United States, the experienced legal professionals at Oberheiden, P.C. can help. Our attorneys, with significant federal law Medicaid defense experience, are available twenty-four hours a day, seven days a week — yes, even on weekends — to talk about your case and how we might help. The sooner we get involved, the more effective we can be, so please do not delay. Contact our office right away. Federal Health Care Law and Audit Defense Lawyers – Oberheiden, P.C.